Built in 1945 as the ﬁrst public housing development in Dayton, DeSoto Bass Courts is in the Miami Chapel neighborhood and has gone through several development phases. Originally intended for low-in-come families, during World War II, it was expanded to provide housing for industrial war workers and then again for military housing for returning veterans. 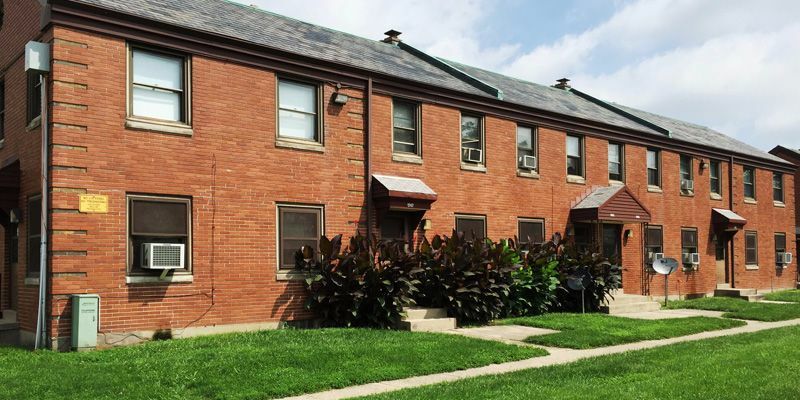 As it re-turned to traditional public housing, for many years it was the only public housing complex that would rent to black tenants, providing a much-needed resource for low-income residents and young families who were unable to rent in affordable neighborhoods. Great care was given to its development Aerial photo of DeSoto Bass as is noted most speciﬁcally in the naming of the housing complex and the streets that surround it, which honor prominent African-American leaders. Over the years, one third of the buildings have been demolished to reduce density. At its peak, DeSoto Bass Courts contained more than 524 units; today it has less than 350. Older DeSoto Bass Courts residents have fond memories of the sense of community they once had in their neighborhood. Read more about the history of DeSoto Bass Courts in a published 2017 Dayton Daily News article, ‘WE HAD A PLACE WE ALL LOVED’ DESOTO BASS’. Hilltop Homes was built in 1965 and is in the Lakeview neighborhood of Choice Neighborhood Dayton. The housing was built to accommodate low-income families and is the second of two housing developments that make up the DeSoto Bass Asset Management Project (AMP). Geographically, the site is more than a mile away from DeSoto Bass Courts. Like the DeSoto Bass Courts housing, many units at Hilltop Homes has been demolished to reduce density. Hilltop Homes once contained more than 210 units; today there are 150. Hilltop Homes has many residents that maintain a strong pride in their community. The Pineview neighborhood was developed during the 1950s by a group of black families who were unable to purchase housing in other middle-income neighborhoods. Today, Pineview contains more than 400 single family homes, some of which are located on the highest ground in West Dayton and boast excellent views of downtown. Madden Hills also came about because of housing discrimination. First-time home buyers in this neighborhood were looking to create a suburban experience in the city, since they were unable to buy suburban homes elsewhere. Developed through an urban renewal process that began in the mid-1960s, more than 230 homes were built in Madden Hills initially, including a mixture of larger market-rate homes and smaller affordable housing. 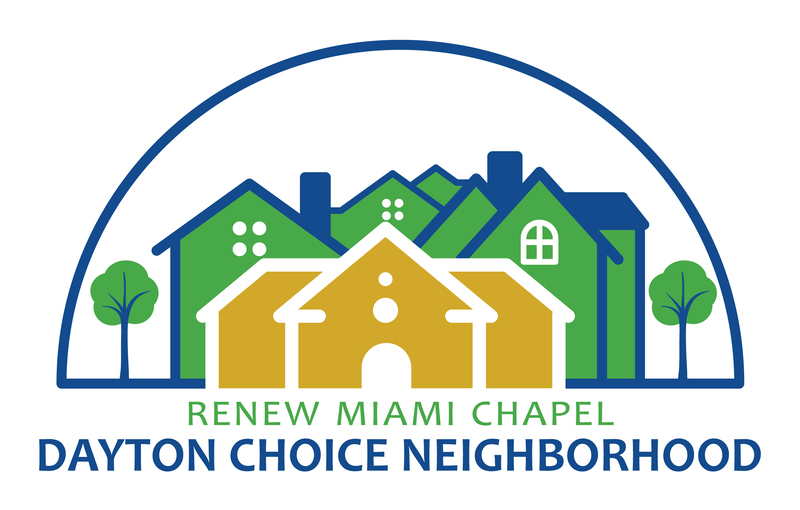 Unlike Pineview and Madden Hills whose development was driven by families, Miami Chapel was largely developed through the federal Model Cities Program in the 1970s. DeSoto Bass Courts is located within Miami Chapel which contains approximately 941 housing units, 350 units are located at DeSoto Bass. 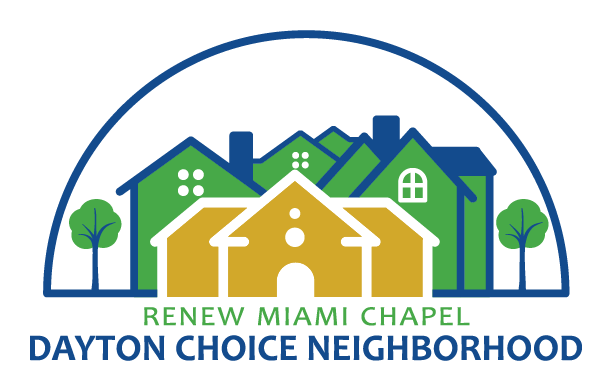 Miami Chapel, the neighborhood in which DeSoto Bass Courts is located, on the other hand, was largely developed through the federal Model Cities Program in the 1970s. 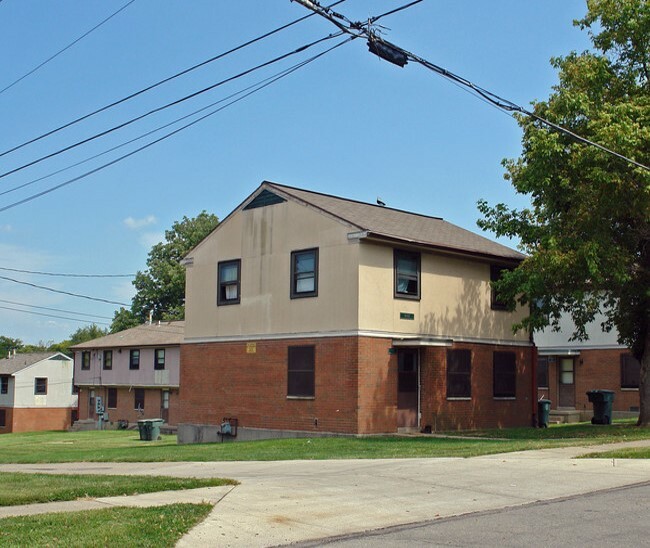 Formed in Dayton in response to a series of riots in the 1960s that brought national attention to the city, the Model Cities Planning Council built more than 60 low- and moderate income houses south of Ohio State Route 4, local road Germantown Street. The neighborhood also contains a mix of housing from the early 1900s, located north of Germantown Street near the former site of McCall’s printing facility, a larger employer at the time. 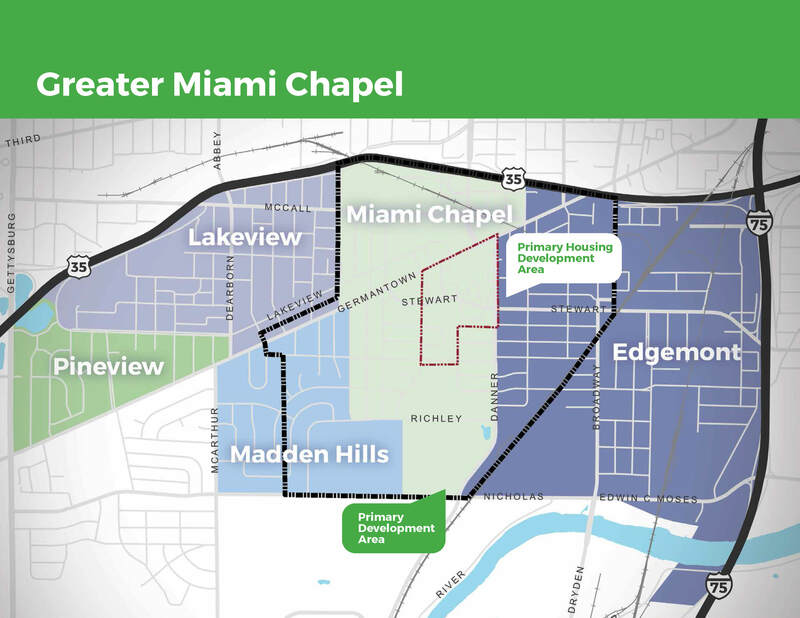 Located to the east of Miami Chapel is the Edgemont Neighborhood, which contains a significant number of businesses and jobs. Largely industrial, portions of Edgemont contain some of the oldest housing stock within the Choice Neighborhood, with many houses that were built before 1930. Lakeview which is mostly comprised of Hilltop Homes and the Lakeview Cooperative Estates (non GDPM subsidized housing) has a small number of single family homes developed in the late 1950s.